From Gmail to Facebook Messenger, from WhatsApp to Telegram, there are tons of ways to send your messages, and most of us are attached to at least several of them. If each one has a dedicated app to open it, imagine how many apps we have to open to stay up to date. Other than cluttering your desktop, opening many instances of apps also eats system resources. One solution is to use a dedicated all-in-one message center such as Franz. Unfortunately, there are only a few of these kinds of apps, and most of them are either slow to update or are paid apps. But there’s another alternative. You can easily create your all-in-one message center containing virtually any messenger that you want, and more, with the help of Chrome SSB (site-specific-browser). As the name suggests, SSB allows you to run a site as a standalone desktop app in a dedicated browser. That desktop app could have its own settings according to users’ needs. If you are a Mac user, there are several SSB makers that you could try such as the Safari-based Fluid and the Chrome-based Epichrome. By collecting web versions of messenger apps, you could have all of your most-used messengers under one roof. We are going to use Epichrome here. If SSB is just another instance of a browser, we could ask, “Why not use a browser instead?” Any computer user could open a new tab and visit the web version of any messenger app. But if you do that, it would be just another tab that you could close at any time. You won’t have the luxury of having your messengers open all the time when you close your browsing session. But using Epichrome means there are tons of great browser extensions, and you can add them to enrich your messengers only to the SSB without cluttering your main browser. We won’t go into the process of setting up an SSB using Epichrome since it’s already been discussed here. 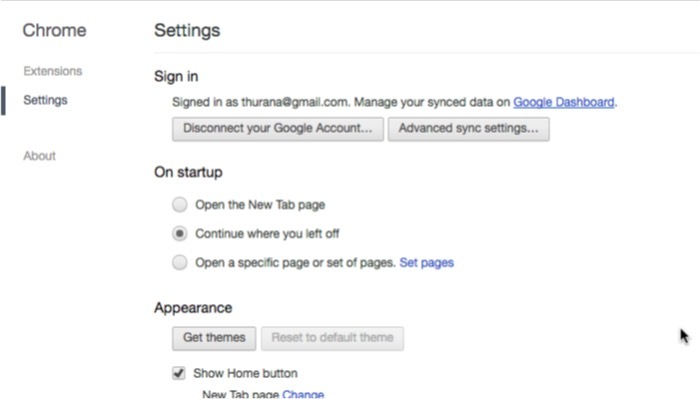 The only difference is for our message center; you will add multiple web addresses in the settings instead of one. By choosing to add tabs, you could add multiple messengers that you use often. Try to find out the web address of these messengers using the help of the good old search engine. 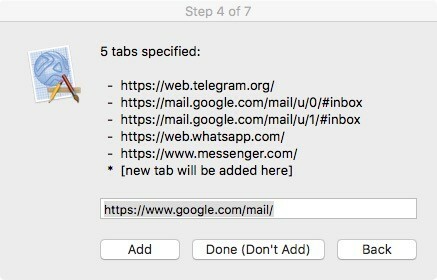 In my settings I add two Gmail accounts, Telegram, WhatsApp, and Facebook Messenger, but you can virtually add anything with a URL. The few things that come to mind are Twitter, LinkedIn, and Slack. 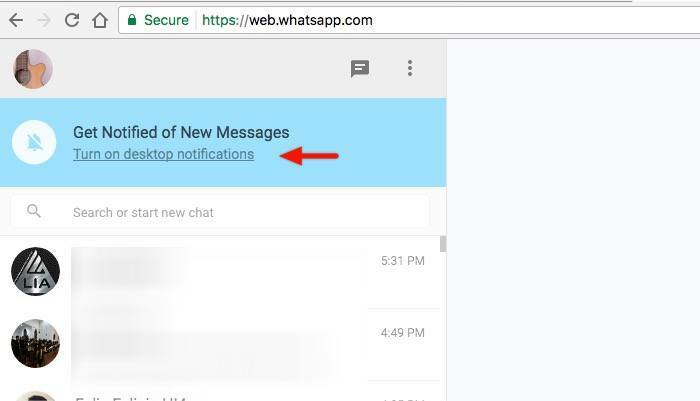 You also need to enable the desktop notifications if you want to get notified every time a new message arrives. 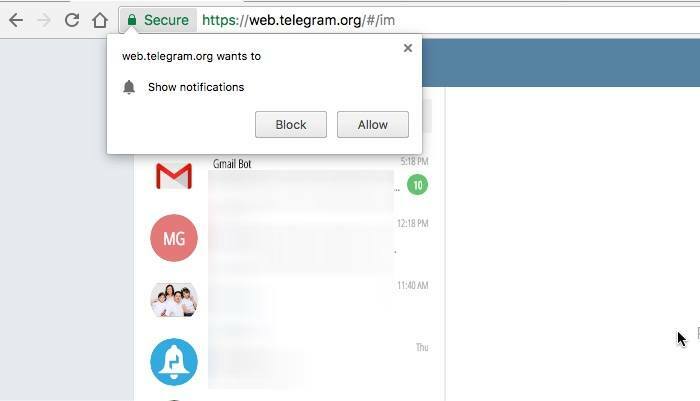 Every web-based messenger has its own way of asking users to enable desktop notifications, but you can be sure they will ask you to give permission. 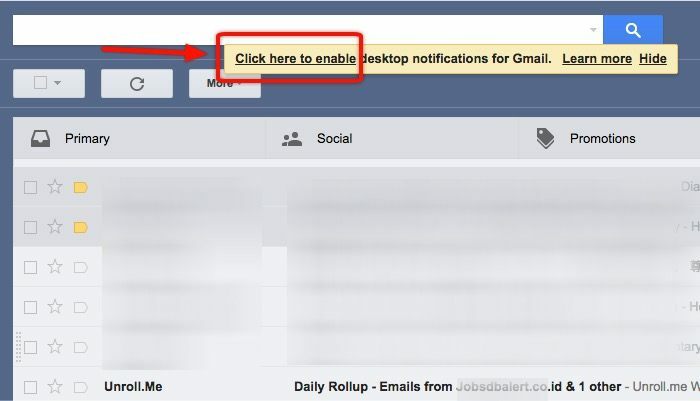 Here is how Gmail asks you to enable desktop notifications. This is the same on Telegram. And this is on WhatsApp. But why stop yourself with an All-in-One Message Center? You could also create another SSB for your work containing all the web tools that you use for your job. Or you could also create one for all of your news reading, for social networking, for researching, etc. You get the point. Just because an SSB is created to convert a website into a desktop app, it doesn’t mean that it’s limited only on one website. Using my All-in-One Message Center, I can ditch Franz – which used to be good but now is a little outdated. I can turn all the message windows on or off as I need without messing with my main browser. And I can get notified about new messages and deal with them in real-time without the need to pick up my phone. What do you think about creating a message center using Epichrome SSB? Do you have better alternatives? Share your thoughts and opinion in the comments below.